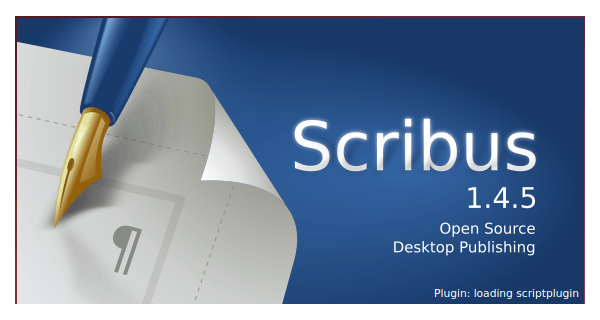 Open source desktop publishing (DTP) software, Scribus 1.4.5, has been released recently with a total of 75 bug-fixes, including many corrections backported from 1.5.0 svn. Scribus 1.5.0, the preview of the next stable Scribus release (1.6.0), is supposed to be released for testing purposes early in 2015. Scribus is now being shipped with the most recent version of Barcode Writer in Pure PostScript. Updates to the Scripter that enable more control on PDF export. There is also a new command in Scripter, applyMasterPage(), which allows you to apply an existing Master Page. Updates to the Resene color palettes, including, for the first time, The Resene Total Colour System (TCS) Master Palette. Many translation updates and improvements. The OS X application bundle is now code signed (version 1 code signing, due to the OS X 10.5 Leopard build), and now contains the path tools for mesh distortion again. Since there’s no official Ubuntu packages for the new Scribus release, I’ve made it into my personal PPA, available for Ubuntu 14.10, Ubuntu 14.04, Ubuntu 12.04(64-bit failed), and Linux Mint 17/17.1. NOTE: Please back up all project files before you doing below steps. If you don’t want to add PPA, grab the .deb installer directly from the launchpad page. That’s it. Hope this will help!